We are leaving Weber Creek (a small tributary of the South Fork of the American River) for the Cosumnes, a big river with several forks similar to the American. 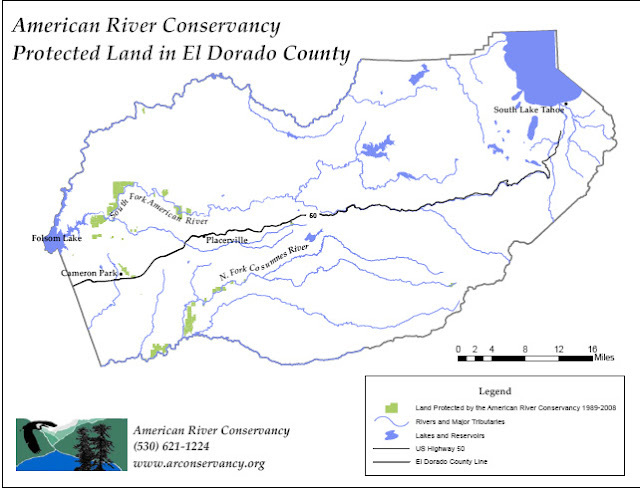 It is also similar to the American because they found gold in both rivers, which had a large impact for El Dorado County. However, unlike the American River the Cosumnes has never been dammed. Also, the American River flows into the Sacramento River while the Cosumnes flows into the San Joaquin River. The first Cosumnes River crossing a little east of Sacramento County is the Latrobe Bridge. Latrobe is a major north-south road through the area and also the name of the town near the bridge. In the top photo we can see that the main bridge is a T girder, but on the north side of the river, it changes to a slab bridge with the T girder nicely ending at the end diaphragm/bent cap. 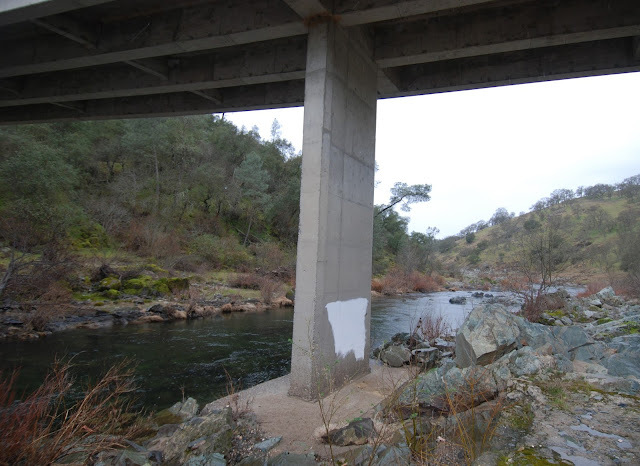 It's a local agency bridge (26C0001) on the Amador County line that was built in 1959. It's a tall bridge over a deep river canyon with lots of big rocks deposited by the river. Note the pile cap is above the water in the photo. El Dorado County, California Bridges: Latrobe Road across the Cosumnes River by Mark Yashinsky is licensed under a Creative Commons Attribution-NonCommercial-ShareAlike 3.0 United States License.